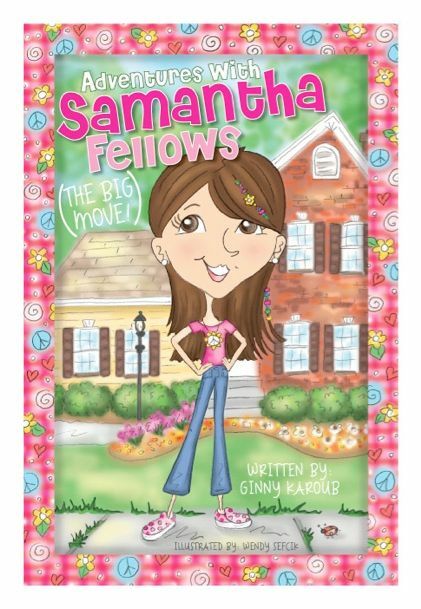 Click one of our retailers below to buy "Invisible Isabelle"
Hickory Ridge Elementary School had a special opportunity to have a local author come to their school recently. Her name is Wendy Sefcik, who lives in Brunswick. Sefcik wrote a great story called “Invisible Isabelle.” In the story, Isabelle tries to change her image and she ends up becoming invisible. The story has a personal connection with the author. "When I was a child, I was very shy and kids made fun of me,” Wendy explained. “I remember wanting to "blend in" with the other kids so as to avoid anyone picking on me”. In addition to writing, Sefcik illustrates her own books. “As a child I was always interested in art. My Mom inspired creativity and a fun imagination. By the time I was in high school I knew that I wanted to pursue a career in art,” said Sefcik. Today, she is a freelance illustrator/designer for clients around the country. The students at Hickory Ridge thought Sefcik’s visit during the first week of March was perfect, because it was “Right to Read Week” at the school. “My experience at Hickory Ridge was wonderful,” Sefcik explained. “I was impressed by the students' behavior. All of them were great listeners! They asked a wide variety of questions from things like “why did you write e the book?" to questions relating to the publishing industry and how my book was printed. 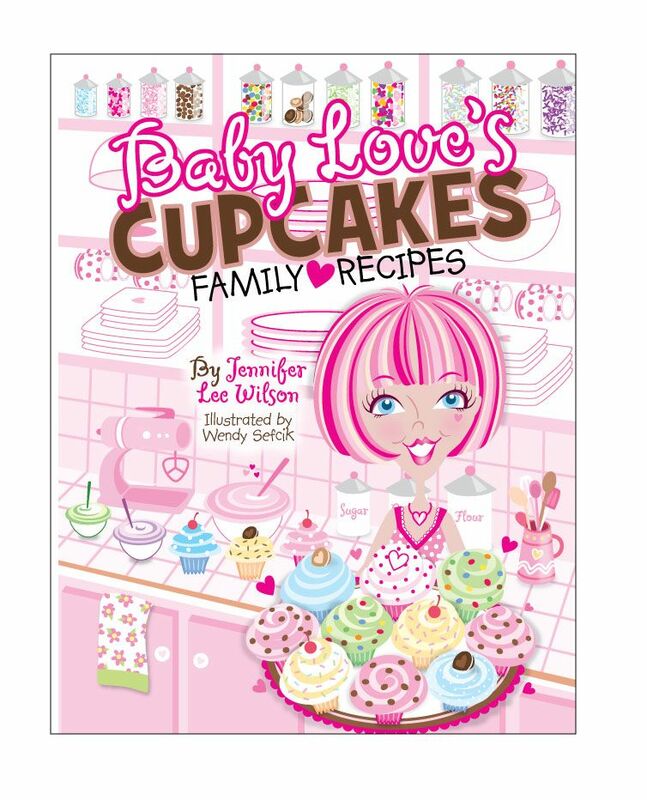 It seems that they already have a great understanding of being an author,” she added. Hickory Ridge students enjoyed “Invisible Isabelle” because the story had a simple problem and a solution. Also, the bright spontaneous colors made the story even more fun! 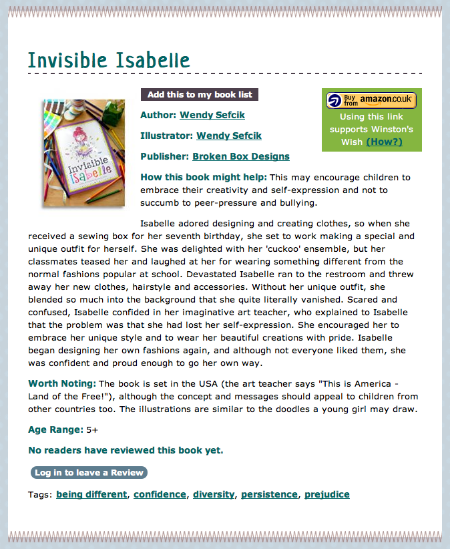 "Invisible Isabelle" can be purchased by going to www.InvisibleIsabelle.com and clicking on the "Buy the Book!" button on left hand side of website. This will direct you to lulu.com, where Wendy’s book is available. Remember: If you ever have a dream or something worth writing a story about, go ahead and try it. Like Wendy Sefcik, you may have a number one story “write” under your nose! 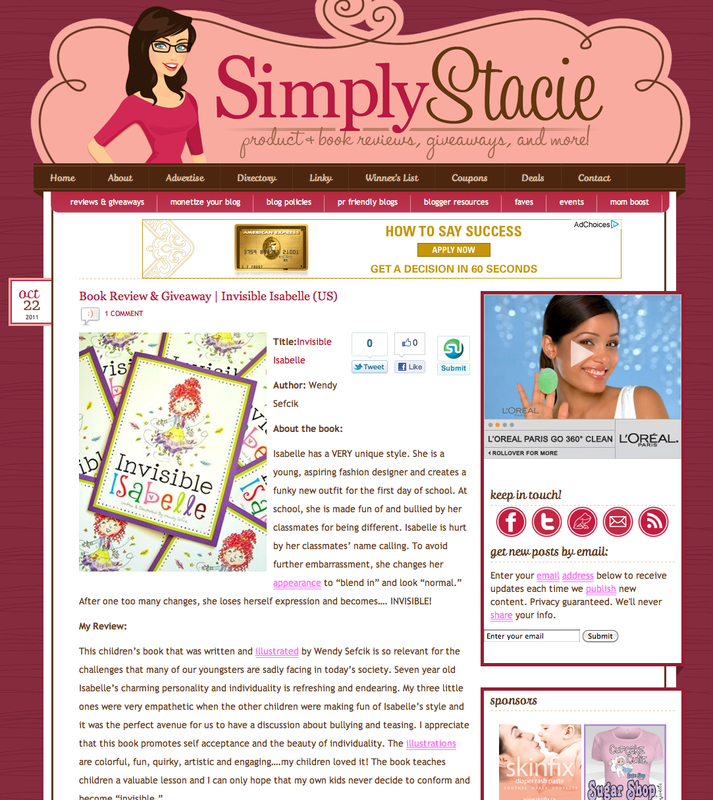 Head over to "Simply Stacey" to enter the "Invisible Isabelle" children's book giveaway! 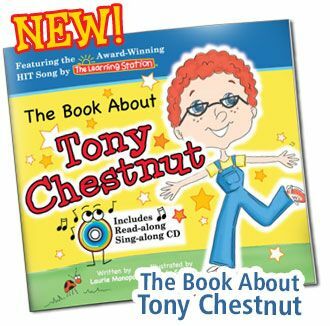 Written and illustrated by me (Wendy Sefcik). Click here to enter the giveaway for your chance to win a free signed copy. Book Sale & Signing at "Affair On the Square"
I'll be at Affair On the Square at Medina's Historic Public Square (Medina, Ohio) this Sunday from 11am - 5pm. 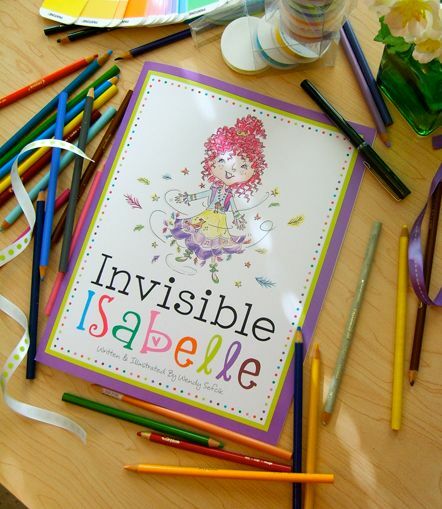 Signed copies of "Invisible Isabelle" will be available for purchase for just $12.00. Hope to see you there! For more information and a complete list of all of the vendors/crafters that will be at the fair visit their website. 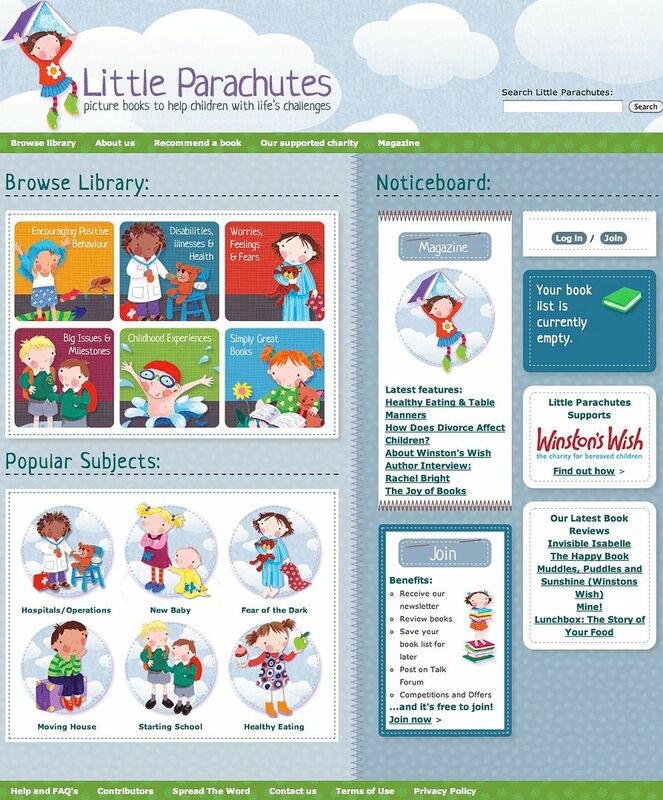 "Invisible Isabelle" Featured on "Little Parachutes"
I'm very happy to announce that my children's book, "Invisible Isabelle," is now featured on "Little Parachutes," a website showcasing children's books that help children with life's challenges. 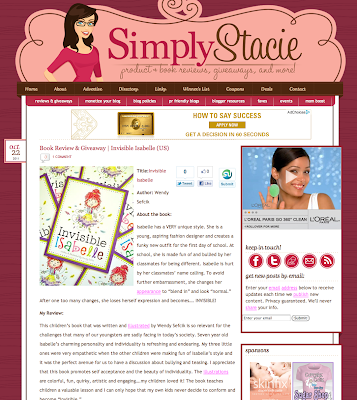 The adorable and easy-to-use site covers helpful and supportive topics for kids such as: healthy eating, illness, visiting the doctor, anxiety, bedwetting, adoption, divorce and much much more... forming a very unique library of books created to help children. 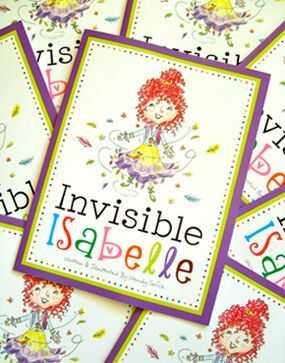 To read the full review on "Invisible Isabelle," please click here! We are listed under the "Bullies" section. Click here to learn more about "Invisible Isabelle!" Copyright © 2011 Broken Box Designs, LLC. All rights reserved. Invisible Isabelle - Now on Barnes & Noble! Contact Wendy to book a reading. Copyright © 2011 Broken Box Designs, LLC. Watermark theme. Powered by Blogger.